Decorating your favorite novels with bookends is a simple and functioning decor practice. 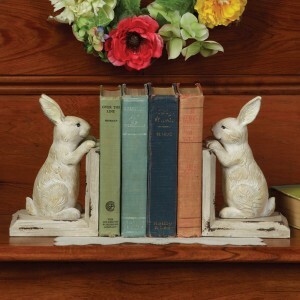 These primitively distressed rabbits will add a refreshing look to a table or bookshelf, and their simple design will adapt to your home’s design style. Allow these springtime rabbits to watch over your books, and you won’t be disappointed with the attention they receive from guests. To dress up this or other bookend displays, fresh flowers in a vase or a flower wreath adds beautiful color and gives a fresh, bold appearance during the warmer springtime months as well as the colder days of the year. 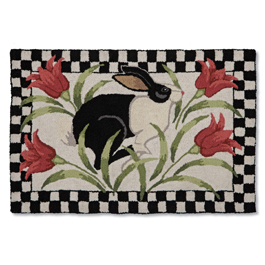 Artist Stephanie Stouffer created the bold Bunny & Tulips print on this hooked rug for a colorful accent in a hallway, bedroom, or other living space. The black and white add a perfect contrast to the dark pink tulip blooms, allowing this rug to coordinate with almost any color scheme. The check pattern around the edge adds unique character to this rug, and adds even more eye-catching detail. Additionally, this rug is a great piece to incorporate into your home because it will help create a springtime liveliness, as well as coordinate with your favorite primitive, floral, or check decor. Our Tulip Checker Pillow is an excellent example of this, as it combines the elements of the rug into a piece you can place on a chair, bookshelf, or hallway bench. Lamps are great for making a statement in your home, especially since they have the added functionality of brightening up a room or small space. 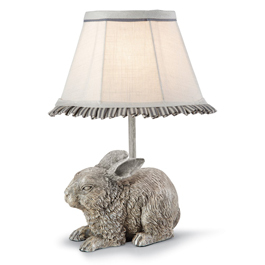 Our new Gray Bunny Lamp makes an excellent bedside or couch-side table lamp; it’s decorative features include a ticking ruffled edge on the lampshade, giving the cute gray bunny base a uniquely decorated covering. This is perfect for incorporating rabbits into your decor if you’re looking for a single statement piece, but also coordinates with other rabbit pieces if you’re going for a more wholesome look. This piece is a little more unique than our other must-haves, in the fact that it’s purpose is to display and safe-keep some of your most treasured jewelry pieces. 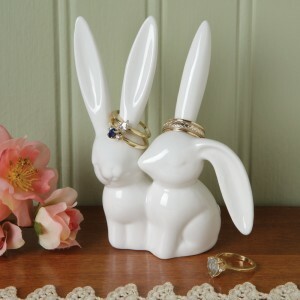 The Kissing Rabbits Ring Holder is a cute and functional ornament that elegantly fits in with your jewelry for year-round use. It is not, however, limited to just keeping your rings in sight. Use it on a bookshelf or as a tabletop ornament during the springtime, or show a little love to a friend or family member by giving it as a sweet gift of affection. These adorable rabbits are curious about your guests, and sweetly peer over a wooden fence. 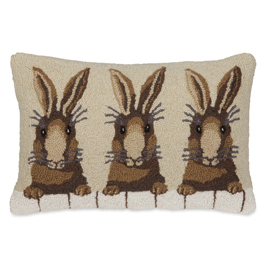 While not as colorful as other springtime decor, the natural and neutral colors on the Three Rabbits Hooked Wool Pillow give you many design options; like putting it on a couch with a colorful throw, or placing on a bookshelf in front of a vase filled with spring blooms. 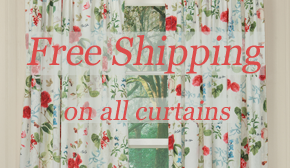 These must-haves will hopefully add variety to your home decor, while at the same time creating a complementary springtime theme throughout your home for the season and during the rest of the year. This entry was posted on Monday, February 23rd, 2015 at 10:39 am	and is filed under Apartment, Bedroom, Decorating, Easter, Easter, Holiday Decorating, Kitchen, Lamps and Lighting, Monday Must-Haves, Rugs, Seasonal Decorating, Thematic. You can follow any responses to this entry through the RSS 2.0 feed. You can leave a response, or trackback from your own site.